With building security being one of the main concerns for Facility Managers, what do you do when an active shooter breaches your facility? Come learn from a law enforcement professional. Please note this is a full 90 minute presentation. Tour of ROF will begin promptly at 11:45 am, followed by Chapter business. Presentation will begin at 12:15 pm. Officer Sean Mahabir was born on the island of Trinidad and Tobago and grew up in Southern California. He attended the University of South Florida, and has been in Law Enforcement for over 15 years . 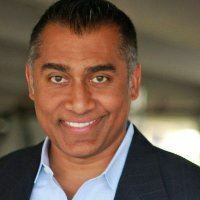 Officer Mahabir started his career in the Television industry as a Producer for HSN, Universal Studios, USA Network, and NBC. When the tragic event of 9/11 transpired, he made the decision to protect and serve his community. Officer Mahabir is currently assigned to the Special Operations Division at Tampa Police Department as an Emergency Planner in the Special Incident Management Unit (SIMU). When planning high profile dignitary visits, large parades, and large scale events, he and the team of SIMU work closely with United States Secret Service, FBI, City, and State Officials. In addition, Officer Mahabir created the award winning Business Watch Tampa. A program focused on positive partnerships with local businesses in the City of Tampa. As well as planning, Officer Mahabir conducts safety training for businesses such as General Safety Awareness, Venue Security, and Active Shooter.